If you need assistance, be sure to visit the RMC Support page. EZ RMC™ Remote HMI is an application designed for your mobile devices on both iOS and Android platforms, for the monitoring and control of your EZTouch HMIs from EZAutomation.net. Enjoy direct access to your EZTouch HMI from anywhere at the tips of your fingers, on your phone or tablet. 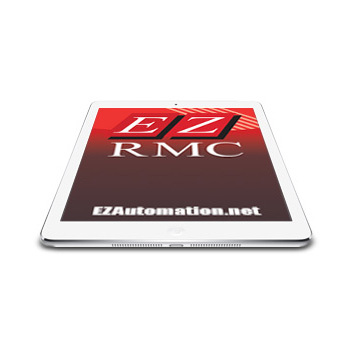 The EZ RMC™ Remote HMI is available on both the iTunes App Store as well as the Google Play store. This App currently works with EZAutomation's EZTouch EZ3 Series, Windows based CE Series HMIs (6" to 10"), Windows 7 based EZWindows HMI (10" or 15"), EZTouch Plus Dedicated OS HMIs (15"), or using our runtime EZ-SOFTHMI software running on a compatible PC. Support for other platforms is under development, and updates will be announced when available.